We are proud to be relaunching our baby casting kits with beautiful packaging which will become a keepsake in itself, and now contains even more casting materials inside. We have even reduced the price which was £29.99 in 2002 down to £24.99 due to our buying powers now we are a bigger company. Buying from The Keepsake Co. you can rest assured you are buying from the leading experts who have trained many of the keepsake businesses out there which you see today. This baby casting kit can be used to create castings of little babies right upto a teenager and beyond so there is no age limit. For 0-2 year olds I would expect to get 4-6 castings and for older children slightly less. There is 450 grms of the chromatic Alginate, casting stone, casting bags and full instructions. 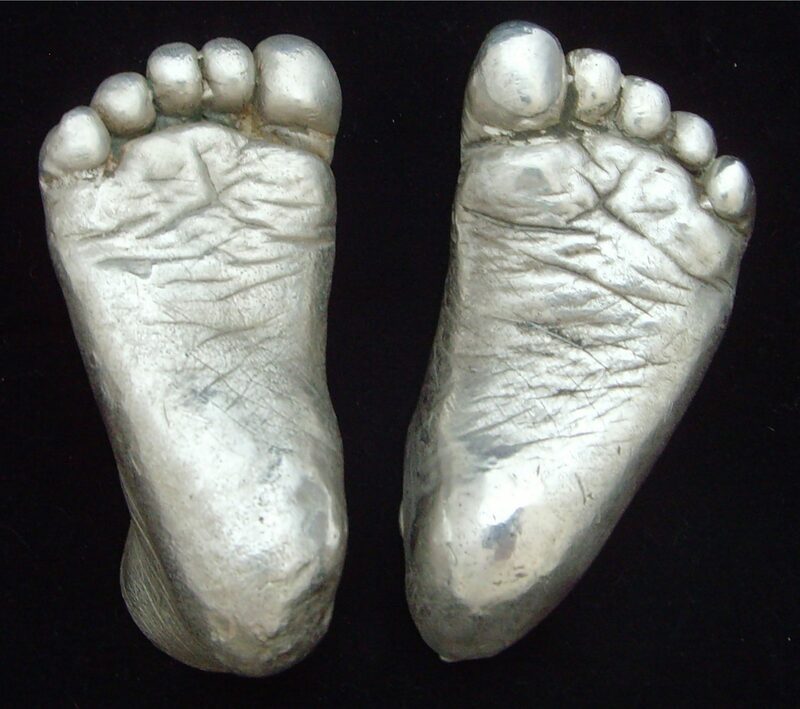 You can also request video training access if you struggle with the process to ensure you have everything you need to create stunning baby castings of your little one’s hands and feet. 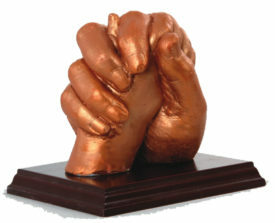 We are delighted to bring back to market our best selling baby casting kit from almost 16 years ago. This is how The Keepsake Co. started all those years ago when our founder saw a baby casting kit in America and imported some over for her friend. She searched high and low in the UK and could not see anything similar here. No baby casting kit, no casting materials readily available and no local baby casting services. She feel head over feet in love with the process and so set about securing exclusive distributor rights for the casting kits and started to sell them. She couldn’t believe how wonderful the results were and quickly set about creating an entire business around these beautiful tiny hands and feet. When The Keepsake Co. launched our first casting kit we were determined to be the best as we found the kits we were importing were low on quality and the contents kept changing so we set about designing our own kits. So we sourced the very best Alginate and casting stone from the UK and updated the process a little to make it even easier to create baby castings at home.